2017 Lexus LC 500 – new supercar. New sport coupe equipped with 5.0L V8 engine, which generates 467 horsepower. For the best driving dynamics the supercar built with lightweight, high-strength steel. Rear-wheel drive luxury car targets to accelerate from 0 to 60 miles per hour in less than 4.5 seconds. 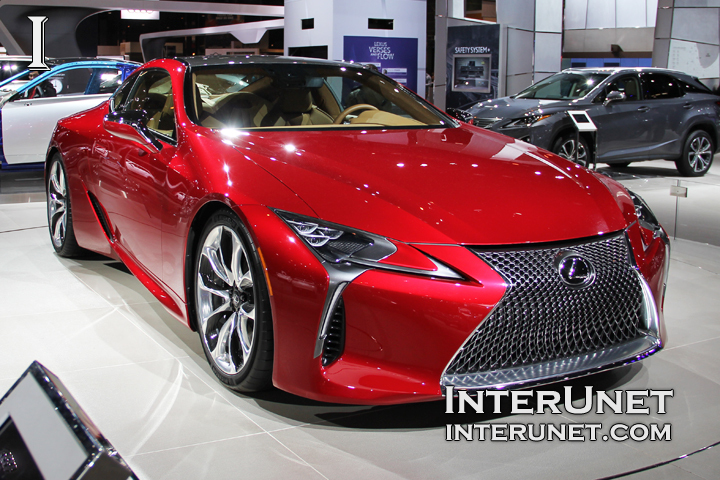 2017 Lexus LC 500 has rich interior with comfortable seating for four. 2017 Lexus LC 500 feature advanced Lexus’s safety technology including Pre-Collision System, Lane Keep Assist, Automatic High Beam, and All-Speed dynamic Radar Cruise Control. Lexus’s 10-speed automatic transmission transfers the power from the front installed engine to rear wheels.